The most recent car booking in Celje has been made on our website 3609 minutes ago. In Celje, we offer for rental 4+ car categories from 2+ rental suppliers. Low prices. OrangeSmile.com offers vehicles for rent in Celje at guaranteed low rates. We are able to offer the best rates since we work with our car suppliers in Slovenia directly, and besides that, we select and provide you only the most beneficial offers at the time of your search. Rental conditions. To rent a car in Celje via OrangeSmile you should possess a valid credit card and a driving license for more than one year without serious accidents. Prior to reservation completion, please read the rental conditions for your selected vehicle. Picking up your vehicle. All the information and the address of your rental office in Celje will be specified in your voucher. Upon arrival, you are expected to present your voucher, driving license and credit card. Please make sure that the invoice and other documents, obtained from the rental officer, are correct and do match with your voucher data. Do not forget to inspect the car prior to taking it from the parking lot. Delivery. When returning your car to the rental location in Celje, check with the desk that they have no claims regarding the vehicle, and all the rental papers and the receipt are in your possession. We wish you a trouble-free driving around Celje! 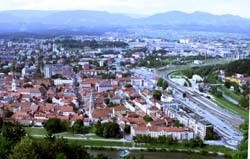 The third-largest city of Slovenia, Celje, has been known since ancient times. 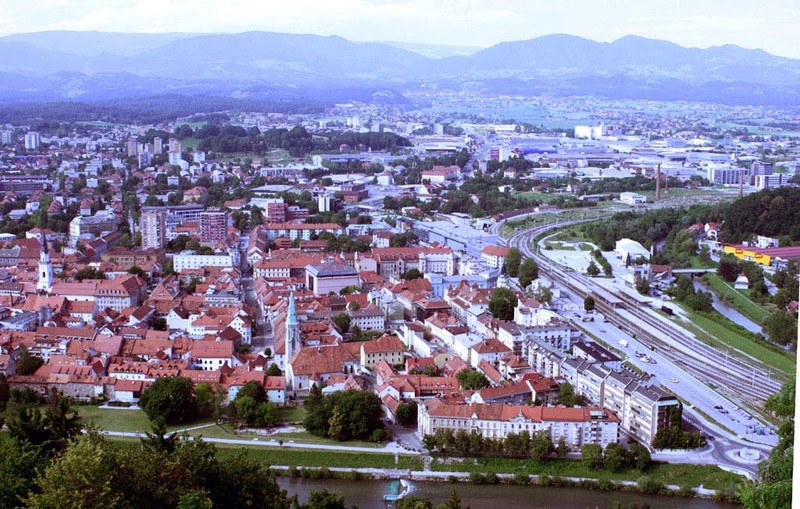 In the Middle Ages the city was the center of the only Slovenian state that had managed to maintain the complete independence (Celje County). Therefore, the count's symbol (three stars) has become the emblem of the city and a part of the State Emblem. The old count's castle, which has preserved here, is one of the city's major attractions. Tourists will find much interesting in visiting Town Hall built in 1830, Bridge the Capuchins, Count's Palace and Spodni grad (bottom castle), as well as Church of St. Cecilia and St. Mary (built in 1310). Here have remained many other old buildings that make even a walk in the streets of the city truly exciting. The city can become a starting point for exciting tours to the surrounding area, which is extremely rich in cultural monuments. The largest church in Slovenia Gornji Grad is among which. Thousands of people travel to Celje just for the opportunity to visit the museum located in Velenje Castle. Natural sites in Celje suburbs are no less interesting. The scenic beauty of nature reserves and crystal clean air attract here numerous people. The most beautiful sight of this place is Rinka waterfall in Logarska Valley. The height of the waterfall estimates ninety feet.